3 Tier Wedding cake with 6", 9" and 12" round tiers. 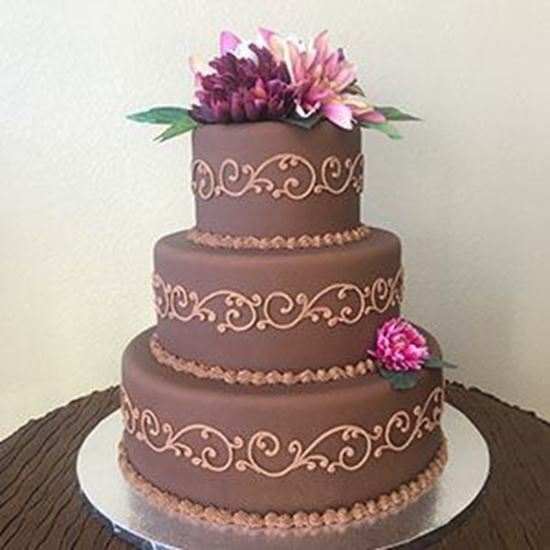 Made with Buttercream or Fudge Icing. Decorated with Scrolling. In-stock flowers included. Serves 100 wedding cake slices.